The 50s swing dance postcard features a lively couple dancing on a black & white checkered floor. 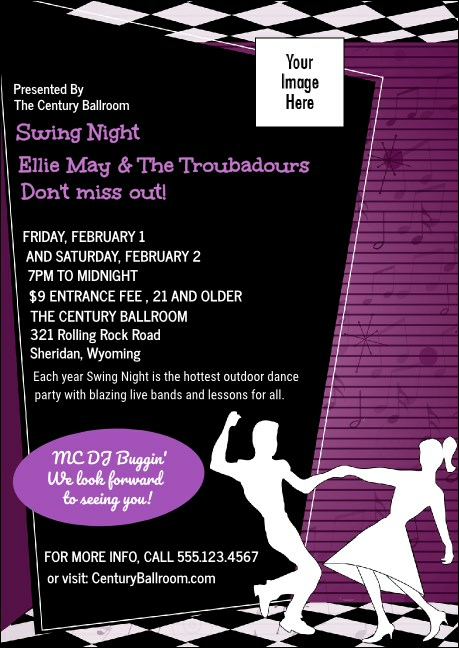 With a postcard this swingin' you'll be dancing the night away to outstanding ticket sales. Fill out the easy template below to get started! Get into the groove with harmonic Event Kits from TicketPrinting.com.